The move comes alongside the removal of the national broadcaster’s Europe correspondent. RTÉ HAS ANNOUNCED plans to appoint a new London correspondent. The move sees a reversal of the decision in September 2012 to close its office in the UK capital. At the time this saw RTE’s London editor Brian O’Connell leave the organisation after 20 years. During his time as London editor he covered a number of high-profile events including the death of Princess Diana, the IRA bombing campaign and the ongoing Northern Ireland peace process. The decision was criticised at the time in the Dáil with Labour TD Joanna Tuffy complimenting the work of the London branch of the broadcaster. 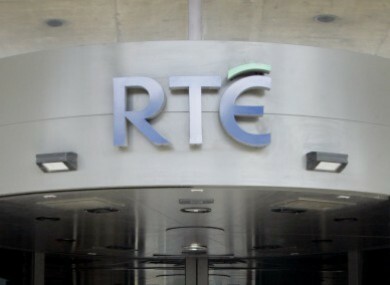 In the same debate Minister for Communications at the time, Pat Rabbitte, defended the closure of the office, describing RTÉ’s €50 million deficit as “an unconscionable amount of money”. The national broadcaster’s new London correspondent will be responsible for reporting across television, radio and web platforms on political, social and economic affairs. In order to fund the new role, the position of RTE’s current Europe correspondent, who is based in Brussels, will not be re-advertised when it concludes in December. RTE will continue to have a Europe editor based in Brussels. The new office will be structured similarly to RTÉ’s Washington office and a focus will be put on keeping costs down. The new correspondent will using self-editing and self-shooting skills, with the assistance of a freelance camera crew when necessary, and will be based out of ITN in London. The new London correspondent will be advertised over the coming weeks and will begin in January. The position will only be advertised internally within the organisation. Thanks to significant savings in closing our old office over the last two years as well as redeploying the staffing costs of the Europe correspondent post we are now in a position to make an appointment. This will be a smaller operation than we previously had, but with changes in training and technologies we will look to continue to provide the same high quality of coverage expected by the public of RTÉ News. Also: What did RTÉ do with the lump of hash they ordered on Prime Time? Email “RTÉ to reverse much-criticised London correspondent axing ”. Feedback on “RTÉ to reverse much-criticised London correspondent axing ”.